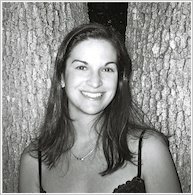 Sarah Dessen’s first novel That Summer was a 1997 ALA Best Book for Young Adults, and Along for the Ride won the GoodReads Choice Award (Young Adult) in 2009. As far back as I remember, I’ve been writing. I’ve always had this wild imagination, and I love to embellish stories to make them more interesting. When I left school I wrote like crazy. At times it seemed stupid – I was broke and there was no guarantee that anything would come of it. Luckily, it did. But even if I hadn’t sold a book I’d still be writing. It becomes part of you, just something you do. Who were your favourite authors as a child and who are you into now? I really liked Judy Blume and Lois Lowry. Currently I’m really into Anne Tyler, who wrote The Accidental Tourist. John Irving’s A Prayer for Owen Meany is probably my favourite book right now. English. Anything to do with writing and reading. I’d been writing forever, but I got frustrated in school because there were rules about what you were Supposed To Write. I wanted to be able to make everything up, even then. This is a hard question, and there’s no single answer. Usually I start with something that did happen to me or to someone I know, and build on it from there. There are so many stories out there waiting to be told. You just have to keep your eyes open. I think, first of all, you have to believe in yourself and your work. Writing can be really solitary, so you have to be not only your own harshest critic but also your own biggest fan. But what really matters above all is that you are writing. When I’m working on a book I’m at the computer every day. Work out what time of day you get your best work done, and try to write at that same time, every day.